Our patio was a blank canvas crying out for some decoration. Luckily, we’ve discovered the local equivalent of Craigslist, actually a hybrid of Craigslist and EBay, called TradeMe. 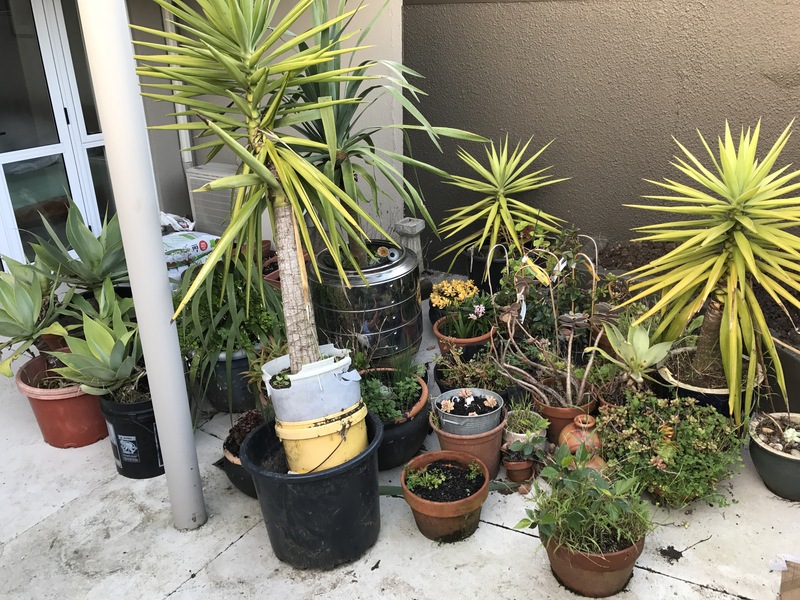 After some nervous bidding, we won a mixed lot of pots and plants. Our little jungle was helpfully delivered by a guy called Ian, who luckily avails of a truck (a “ute” in the local dialect) and trailer. He’s friends with the seller, who it turns out is moving back to Germany and so her plants needed a new home. We have many happy gardening weekends ahead….